The Darkness is a primordial force. Even with the forces of God and his archangels, the Darkness could not be destroyed—only contained through the Mark of Cain. When Rowena succeeded in releasing Dean from the Mark of Cain in the Season 10 finale “Brother’s Keeper,” the Darkness was unleashed. Jensen Ackles has revealed in an EW interview that the Darkness will take the form of a woman. She is likely to be the most dangerous enemy the boys have ever faced. We all believe, right? Chuck is God? 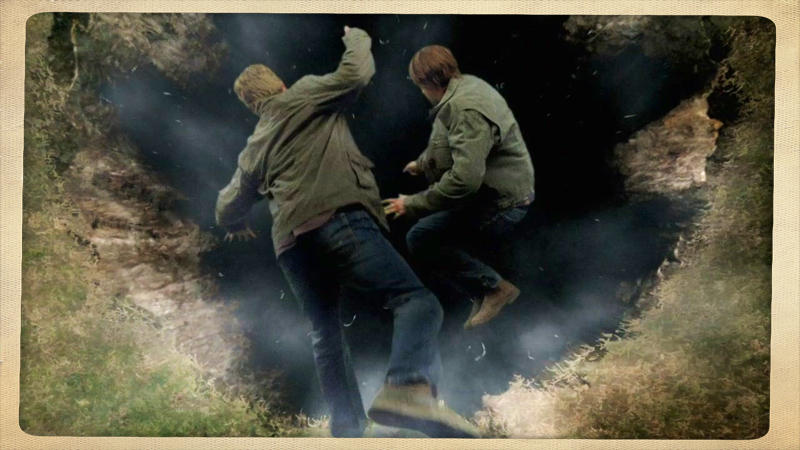 The Darkness is a more powerful force than anything Sam and Dean have ever battled. 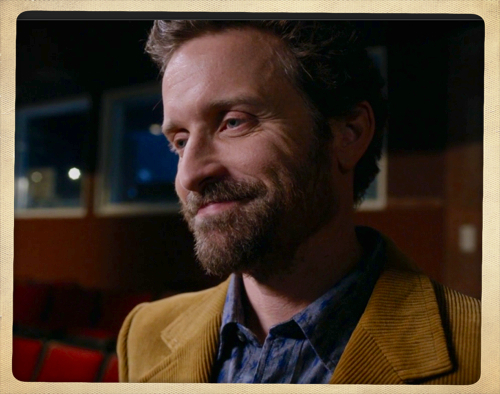 We’re hoping that Rob Benedict will return to provide some divine guidance as Chuck Shurley. 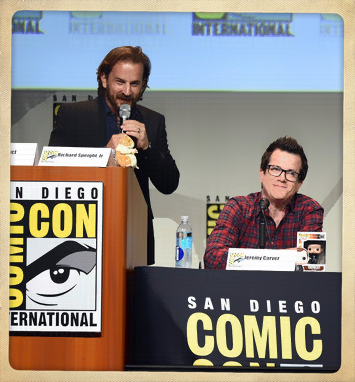 Let’s just hope that Richard Speight, Jr. and Rob Benedict aren’t going to big time Supernatural now that they’re working on their awesome new show Kings of Con. Even if Chuck isn’t God (sacrilege! ), perhaps it’s time for the Almighty to make an appearance. God did battle the Darkness in pre-biblical times. Being all-powerful makes God a welcome collaborator. 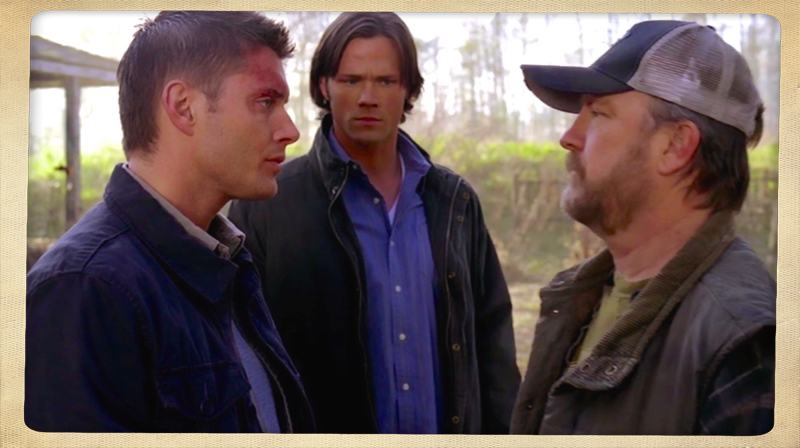 With his appearance in Season 10’s episode “Inside Man,” Bobby Singer, played by Jim Beaver, is the only character besides Sam and Dean to have appeared in every season of Supernatural. Bobby’s presence on the series grounds the brothers and provides them with invaluable resources. There isn’t anyone Bobby doesn’t know or can’t pretend to be, and he’s always there for the boys. As well as being a kickass hunter, dedicated researcher, and master of sarcasm, Bobby is family. In times of crisis who better to turn to than family? 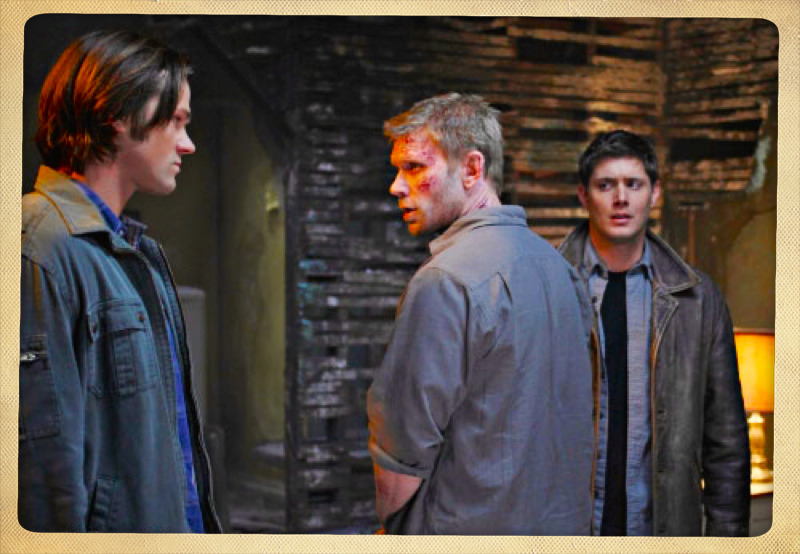 In Season 5, Sam and Dean stopped the Apocalypse by sending Lucifer (Mark Pellegrino) back to the Cage, along with his brother Michael. Since being trapped in Hell, there has been no sign of the embattled archangels. Will the Winchesters need to release Lucifer and Michel to stop the Darkness? When God imprisoned the Darkness through the Mark of Cain, he entrusted it to Lucifer. Could Lucifer play such a role once again and redeem himself in his Father’s eyes? Michael, ever the good son, would certainly return to the role of First Lieutenant in a battle against the Darkness if he felt it was his Father’s will. 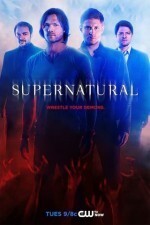 Supernatural will have to deal with the issue of the Cage at some point, if only because Sam and Dean’s half-brother Adam (Jake Abel) remains trapped in the Cage with two angel psychopaths. After Lucifer destroyed his brother Gabriel, how we mourned his loss. We had hoped it was just another one of the Trickster’s pranks, but it was not to be. 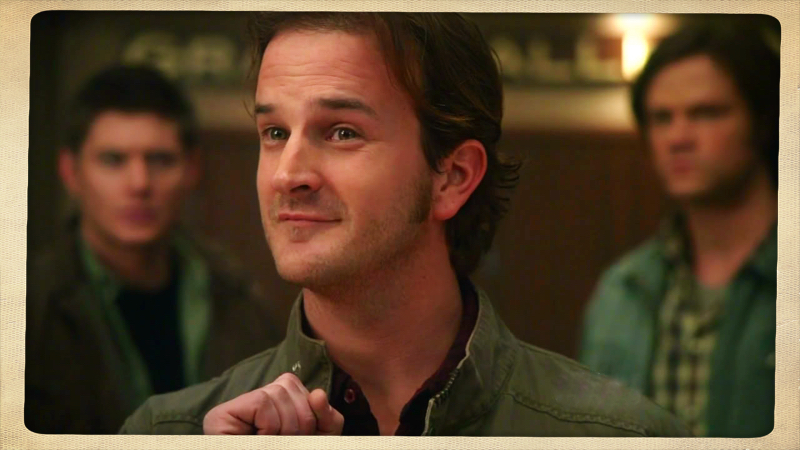 In the episode “Meta Fiction,” Richard Speight, Jr. returned as the trickster once more, but it turned out to merely be Metatron playing a trick of his own. Perhaps Gabriel will return with his horn. It’s believed that when Gabriel’s horn blasts, it will announce the return of God and the resurrection of the dead at the onset of the end times. We’d love to see Gabriel come back as one of the old Gs ready to take care of the neighborhood. He was always the fondest of humans amongst his archangel siblings. Perhaps all four of the archangel brothers can return as “The Boys are Back in Town” plays in the background. We’d even tolerate the return of Hufflepuff brother Raphael (Demore Barnes/Lanette Ware) if it meant seeing Gabriel and evil bro Lucifer again. 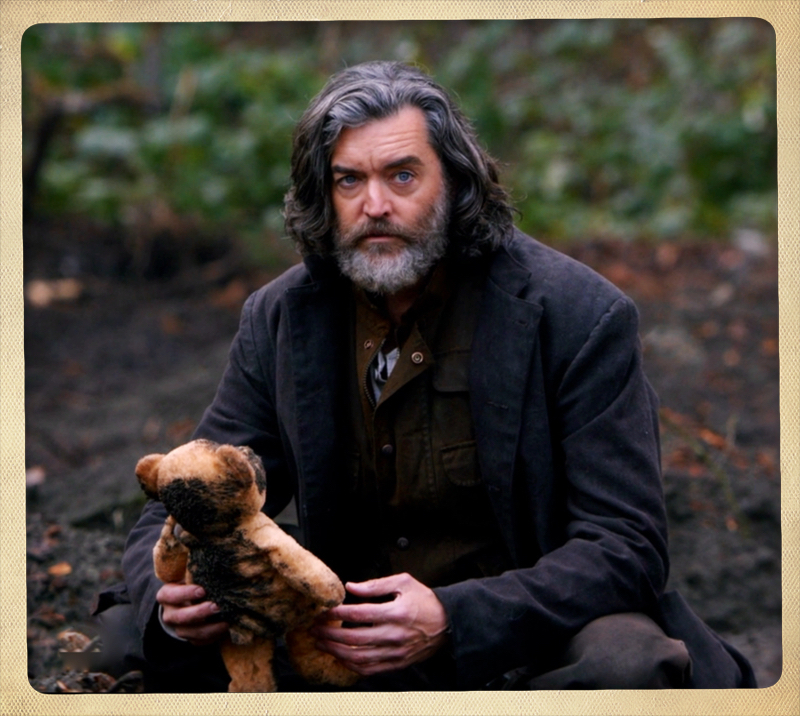 After taunting Dean with mass murder, Cain (Timothy Omundsun) finally got his in “The Executioner’s Song.” Yet we never did see the gory bit involving the First Blade making contact, which has led some to question if Cain is still actually out there somewhere. Dean does have a soft spot for male alpha demons. Either way, Cain may still have a role to play. He did carry the Mark of Cain for thousands of years. The terrifying Cain may have an important part in containing the Darkness. Good news for fans, not-so-good news for Dean. It’s unlikely that even Dean can kill Death (Julian Richings), despite seeing him collapse into a pile of ash in “Brother’s Keeper.” Death has told Dean that he’s as old as God, and that someday he’ll reap God too. Is Death as old as the Darkness? As powerful? 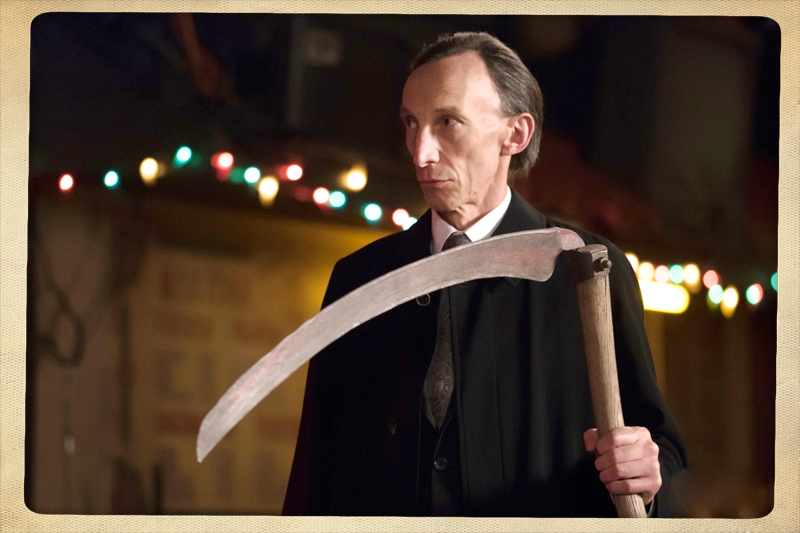 Would Death be willing to help the brothers out after Dean stabbed him with his own scythe? Even if Death doesn’t make an appearance, let’s hope the boys go back and grab his scythe. Such a weapon could be quite handy. Though we know John (Jeffrey Dean Morgan) escaped from Hell, Ash told Sam and Dean that he’d found no sign of John or Mary in Heaven. John has been an asset in tough situations before, like defeating the yellow-eyed demon Azazel. Will John, or Mary, return to help Sam and Dean? Perhaps we will have a Deadly Hallows-like scene in which Sam and Dean are visited by ghost-like shades of their loved ones. 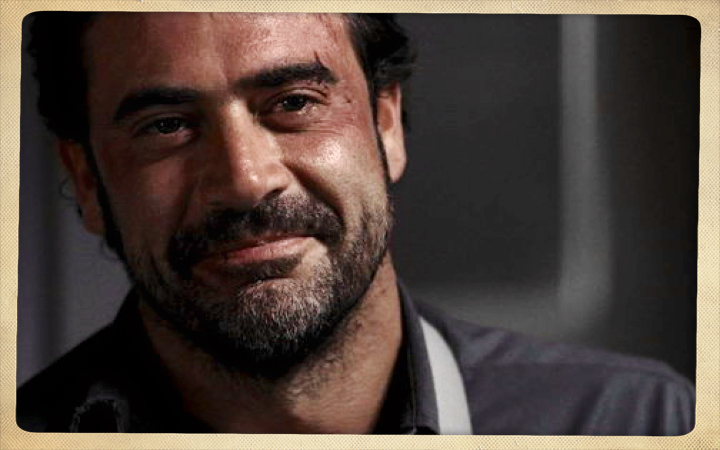 And if you’re going into battle, who couldn’t use John Freakin’ Winchester at their side? 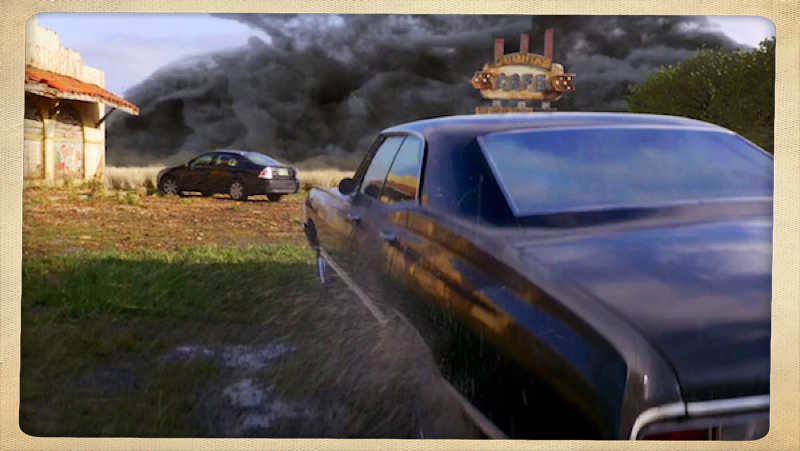 With Sam and Dean needing all the help they can get, who knows where it might come from. Could Genevieve Padalecki make a return as Ruby? Maybe we’ll get a pre-recorded digital message from Charlie (Felicia Day) à la Gabriel’s appearances in Casa Erotica, but hopefully less creepy. Perhaps Meg (Rachel Miner) will come back to torture Castiel and Crowley, albeit in different ways. How about a Hunter’s reunion with Ellen Harvelle (Samantha Ferris), Jo Harvelle (Alona Tal), Ash (Chad Lindberg) and Rufus Turner (Steven Williams) creating some spirit mojo to help fight the Darkness? Who do you want to see come back for Season 11? Tell us in the comments. Well, I like the idea of returning characters, especially Lucifer, Raphael and Bobby, I’m a little dubious about this pre-biblical Darkness woman. I was thoroughly unimpressed by the Leviathans, and the Mother of Monsters, so I hope she’s a little more badass than those two. And hopefully whatever unholy alliances the brothers make will have plenty of awful repercussions for the future as that will make for some great television viewing in later seasons. Chuck, Gabriel, and Lucifer would be fantastic to return. Seeing God and all four of the archangels together would make a great episode about family dysfunction. That whole Eve storyline really went off the rails. She had the potential to be a very interesting female character, but it just seemed like her purpose was to warn the brothers about the secret relationship between Crowley and Castiel. A hunters reunion in some form would be fantastic. They can use all the help they can get, and even better if it’s from a friendly face.